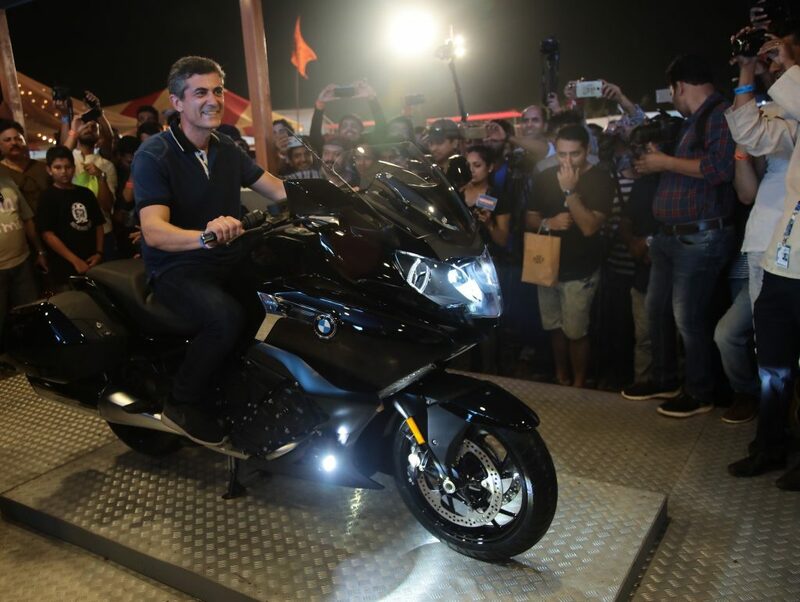 The new BMW K 1600 B was launched today at the most celebrated motorcycle enthusiast festival, India Bike Week. The bagger construes motorcycling in the form of endless highways, the dream of freedom and independence. BMW K 1600 B Pro : INR 29, 00, 000. *Price prevailing at the time of invoicing will be applicable. Delivery will be made on ex-showroom. Ex-showroom price (inclusive of GST (incl compensation cess) @ 43% as applicable in New Delhi but excludes Road Tax, RTO statutory taxes/fees, other local tax/cess levies and insurance. Prices and options are subject to change without prior notice. For further information, please contact your local Authorized BMW Motorrad Dealer. The new BMW K 1600 B is available in Black Storm as metallic color. The new BMW K 1600 B. The design of the new BMW K 1600 B embraces the passion for relaxed, luxurious travel on two wheels. The teardrop-shaped silhouette – typical of bagger – reaches the highest point at the front and the wide characteristic styling underlines the undeniable muscularity. The dynamic windscreen lends the motorcycle a greater presence and for effective wind and weather protection, the side sections of the wind deflectors are stretched further back. The fully chrome-plated silencers with additional chrome covers follow the parallelism of the design concept, fitting in organically with the bagger look. The striking rear section with LED indicators and brake lights integrated into the cases defines the style. The relaxed seating position available to rider and passenger is a feature that contributes to the incomparably comfortable ride feel offered by the bagger – even over extremely long distances. The new BMW K 1600 B fitted with footboards, allows the rider to adopt a convenient ‘feet forward’ posture. Uniting the comfort and touring qualities, the side cases are bolted permanently to the rear frame and exhibit an optimised geometry, a particularly deep body and a flat lid makes for convenient and effective loading with travel luggage. Supreme drive power makes travelling long distances on the new BMW K 1600 B a relaxing pleasure. The distinctive BMW Motorrad 6-cylinder in-line engine delivers itsperformance effortlessly in every situation on the road. The 6-cylinder engine has an output of 118 kW/160 hp at 7750 rpm, generating a maximum torque of 175 Nm at 5250 rpm. Whoever sits atop the Bagger will want to ride on. Riders of the new BMW K 1600 B have the riding modes ‘Rain’, ‘Road’ and ‘Dynamic’ directly available to them at the press of a button so as to be able to adapt to different purposes such as road touring, riding on wet surfaces and sporty, dynamic riding. 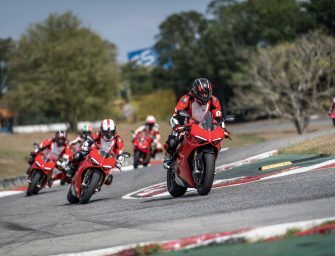 The traction control function DTC is combined individually with each of the different modes and is fully harmonised with them to ensure maximum riding safety. Pushing boundaries is part of the BMW DNA. Whether it is for navigation, connectivity or entertainment, the instrument cluster of the new BMW K 1600 B elevates your sense of freedom. It has two classic circular instruments for the speedometer and engine speed display. The information display on the 5.7-inch TFT colour screen allows attractive visualisation of text fields and graphics, among other things. Elements of the integrated operating concept include the multi-controller and a menu guidance system. The new BMW K 1600 B offers standard packages that make long-distance rides both comfortable and fascinating in cruising style, whether solo or with a passenger. The Equipment Package consists of Shift Assistant Pro for shifting gear up and down without clutch operation. Additional Fog Light uses LED technology for better longevity. The Central Locking System and Anti-Theft Alarm System ensures maximum security. Keyless ride offers more convenience and greater ease of access for the riders. 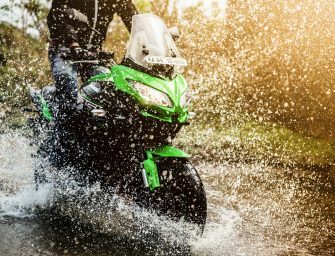 The Safety Package comprises of Adaptive Headlight and Daytime Riding Light, which are particularly economical and long-lived, as well as offering top-quality details. 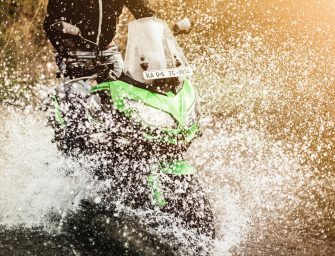 Hill Start Control and Tyre Pressure Control ensures maximum riding safety. The Touring Package includes Rear Gear, which ensure effortless maneuvering and audio system complete with GPS device. The new BMW K 1600 B also comes with high-quality engine protection bars, seat heating, Anti-hoping clutch as standard. 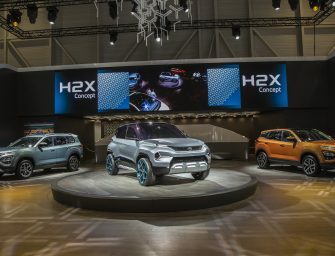 With BMW, MINI and Motorrad, the BMW Group has its sight set firmly on the premium sector of the Indian automobile market. BMW Motorrad officially started its operations as a part of the Indian subsidiary of BMW Group in 2017. Presently, BMW Motorrad is in the process of setting up the team and dealer network in India. Till date, BMW Motorrad India has set up seven sales outlets in Ahmedabad, Bangalore, Mumbai, Pune, Delhi, Chennai and Kochi. 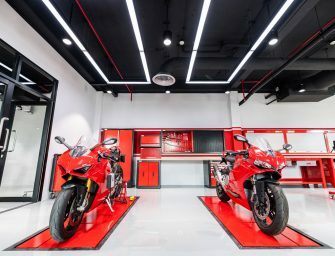 BMW Motorrad dealerships display Sport – BMW S 1000 RR, BMW R 1200 RS; Adventure – BMW R 1200 GS, BMW R 1200 GS Adventure, BMW S 1000 XR; Roadster – BMW S 1000 R, BMW R 1200 R; Heritage – BMW R nineT, BMW R nineT Scrambler, BMW R nineT Racer and Tour – BMW R 1200 RT, BMW K 1600 GTL, BMW K 1600 B, which are available as Completely Built-up Units (CBU).